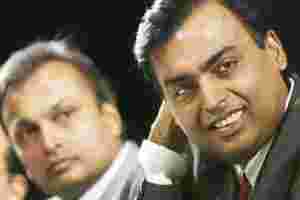 New Delhi: The entire Ambani family, including estranged billionaire brothers Mukesh and Anil, plan to come together and celebrate their late father Dhirubhai Ambani’s 80th birth anniversary on Wednesday in Chorwad in Gujarat, the media reported. The Ambani brothers split after Dhirubhai’s death in 2002 sparked a feud that led to a division of the family business empire in 2005. In 2010, the Supreme Court ruling brought the brothers back to the negotiating table, where they unexpectedly agreed to scrap the non-competition pact that had been a source of conflict. “There is love among the brothers. How do you think they are coming together tomorrow?" said Kokilaben, the mother of Ambani brothers.